Originally published under the title, "Turkey Cracks Down on the Free Press." Mehmet Baransu, a reporter for Turkey's Taraf daily newspaper, faces up to 52 years in prison on charges of publishing classified documents. It was once a Soviet joke, but now it applies to Turkey: A man envies civil liberties in the West: "One can even insult and curse the president of the United States," he says. His friend disagrees: "We have the same liberties here: one can freely insult and curse the president of the United States!" 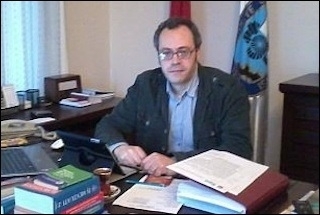 In 2008, when Turkish President Recep Tayyip Erdogan, then prime minister, expressed his dislike of an assortment of international headlines (from the Associated Press, Reuters, the Washington Post, New York Times and Le Monde) on the front page of the Turkish daily Hurriyet, this author suggested that the paper should have quoted more serious publications such as The Ulama Times, The Wahhabi Daily News or The Observant. I later wrote, hoping it would remain a joke: "This columnist's humble advice to Hurriyet's publishers: Be wise, just do as I do and escape the corporate consequences." It turned out to be more serious than a simple joke. 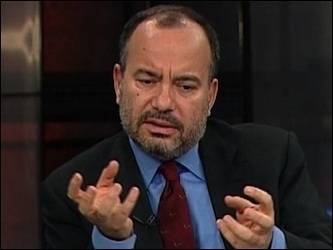 In 2009, tax authorities levied a fine of $2.5 billion on Dogan Yayin, Hurriyet's publisher, for alleged failure to pay taxes properly for share transfers between Dogan companies. That was the largest tax fine ever for a Turkish company: the equivalent to the combined value of Dogan Yayin and its parent, Dogan Holding. Turkey's ruling Islamists have geared up their crackdown on press freedoms, now threatening to put editors in jail. Since then, Turkey's ruling Islamists have geared up their crackdown on press freedoms. Their target, once again, is Hurriyet. But this time the, Islamists are opting for methods less subtle their previous tax fines. Now they are threatening to put newspaper editors in jail. Their direct targeting of the country's largest media group is comparable to similar practices in the world's most authoritarian regimes. On May 16, shortly after news broke that a court in Egypt had sentenced to death the former president, Muhammad Morsi of the Muslim Brotherhood, Morsi's Turkish protector, President Recep Tayyip Erdogan, rushed to a public rally and emphasized that this was a punishment given to a president with 52% of the vote. Just before Erdogan's speech, Hurriyet had run a headline that was identical: "Death sentence to president who was elected with 52% of the vote." In a saner country, Hurriyet could perhaps be accused of running a headline that made it look as if it were the president's mouthpiece. In Turkey, Hurriyet was accused of conspiring in a coup d'état against the president. Erdogan and his prime minister, Ahmet Davutoglu, claimed that Hurriyet's headline intended to imply that Erdogan's fate would be the same as Morsi's simply because Erdogan, too, had won presidential elections last August with 52% of the vote. "When used by Erdogan, this was a normal statement of fact; when used by Hurriyet it was a big offense," wrote columnist Mustafa Akyol. "This is just one example of how independent Turkish media is threatened by the state and the other part of the media that worships that state." "Twenty-one journalists are sitting in jail" at present, according to Ugur Guc, president of Turkey's journalists union. 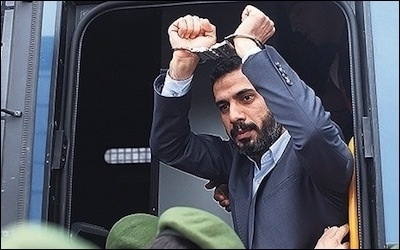 Rahmi Kurt, a lawyer known for repeatedly making legal complaints against Erdogan's critics, filed a petition with prosecutors asking for a criminal investigation against the editors of Hurriyet. It might sound like black humor, but Hurriyet's editors may actually have to stand trial and face jail terms for running a headline identical to a remark made by Erdogan. In an editorial, Hurriyet asked the president: "What do you want from us? Why do you attack us with obvious injustices, obvious distortions, and obvious attempts to guess our intentions by reading selectively? Why do you target us?" Mr. Erdogan has a long history of intimidating and co-opting the Turkish media, but new alarms were set off this week when criminal complaints were filed against editors of Hurriyet and its website over a headline Mr. Erdogan had objected to ... While the country has faced tough political campaigns before, this one [June 7 parliamentary elections] is especially vicious and the mood seems unusually dark and fearful. Mr. Erdogan appears increasingly hostile to truth-telling. The United States and Turkey's other NATO allies should be urging him to turn away from this destructive path. Erdogan seems determined to fight a political war in which there is no place for independent thinking or publishing. In his political worldview, ideally, the media should consist of hundreds of different Pravdas that come in different names and colors.